You are here: Home / Great Deals / Isabela’s Great Kroger Trip! Isabela did a GREAT job on the Kroger P&G promo! She wanted to share her great deals with you! 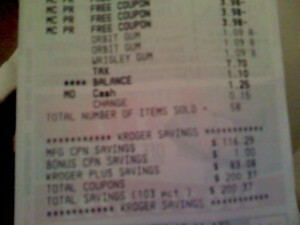 My total savings was $200.37!!! And it was the first time that people stopped me to ask me how I did that. 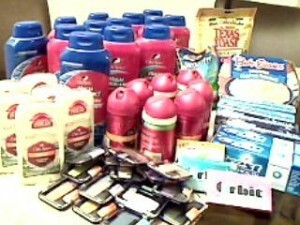 Thanks a lot for letting me know that they still had the P&G deal this week. I thought I had missed it. Awesome Job Isabela! Thanks for sharing it with us! @Jamie: You will, just keep working at it, find the right deals and match it with the right coupons! PLUS, it’s fun! Isabela, it doesn’t surprise me, you’ve learned it from the BEST!! Fantastic trip!! @Madalina: Thanks for the kind words! OMG! you guys are awesome! and doing a fantastic shopping, Im just a kid started to learn and trying my best I can in deals. Love your blog! @Ann: Thanks so much, you can do it, too!